Professor Margaret Ross was awarded the highest award that is given by the BCS each year this morning, The BCS John Ivinson award. 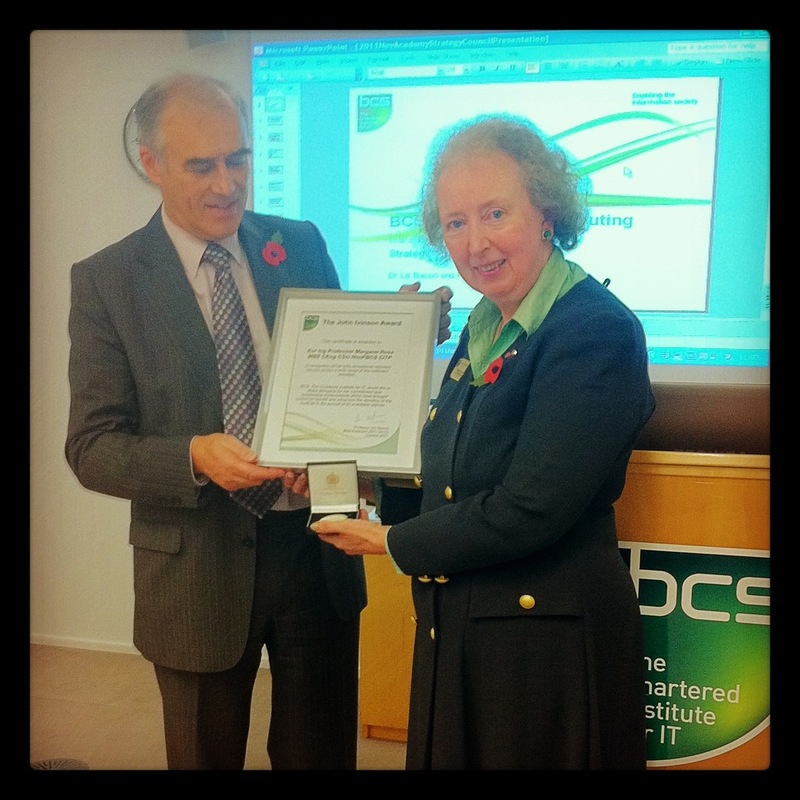 Margaret has done a massive amount of work throughout the breadth of the BCS over many years. She has made a difference to many people’s lives through encouraging and promoting them and computing as a discipline and has been a stalwart on the BCSWomen committee. ← GCSE Computing – surely Turing should get a mention?